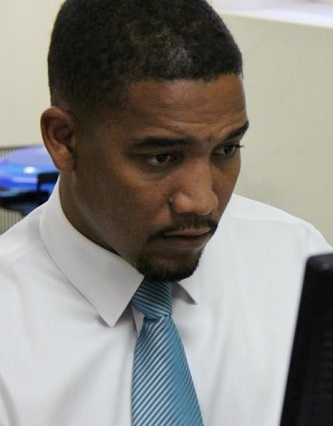 (CNS): The premier has suspended his political assistant, Kenneth Bryan, after he was charged in connection with an altercation in a night club car park in October. Bryan, who denied the charges when he spoke to CNS Monday, said he was looking forward to clearing his nameand getting back to his job. Alden McLaughlin announced in the Legislative Assembly that he was placing Bryan on required paid leave. In response to questions from the opposition leader regarding why, given that Bryan is a political appointee and not a civil servant, he should have to be placed on leave, the premier said it was best to mirror what happens in the civil service. Although paid for by the public purse, Bryan, a former political candidate, is one of just three political appointments in the premier’s office on contracts and not strictly subject to the civil service regulations. But the premier said that after discussions with the top civil service management, it was decided this was the best course of action. “It was determined that the best course and the most obvious and fair course was to mirror what is done to civil servants when there are matters such as this,” he said, adding that he was placed on leave in same way as other civil servants under investigation. However, there are no questions regarding Bryan's conduct in office; the charges relate to Bryan cursing at an on-duty police officer who was arresting the wrong man. It is understood that the former TV reporter and PPM party member was assisting an off-duty police officer, who was being harassed and threatened by a former boyfriend and came to Bryan for assistance. In the course of the arguments other people became involved, and when the police arrived they appeared to jump to the wrong conclusions. Bryan attempted to set the record straight, and although he was not involved in any violence, because he swore at an officer he was arrested and subsequently charged with assault. Bryan is expected to make his first court appearance in January.